The TracStar Series 2 for medium-diameter pipe now shares a common vehicle that is interchangeable with the 28, 250, 412 and 618 fusion machines for 2” IPS to 18” OD thermoplastic pipe. The cowling was redesigned to provide better airflow and heat dissipation. There is also easier access to the engine when maintenance is required. An updated electrical system increases the circuit protection and a standard battery disconnect is now incorporated for easy lockout. The TracStars are powered by a diesel engine and feature a patented Centerline Guidance System for equal distribution of force around the joint. The carriage can be converted from 4- to 3-jaws for a more compact unit and is easily removable for in-ditch fusion. 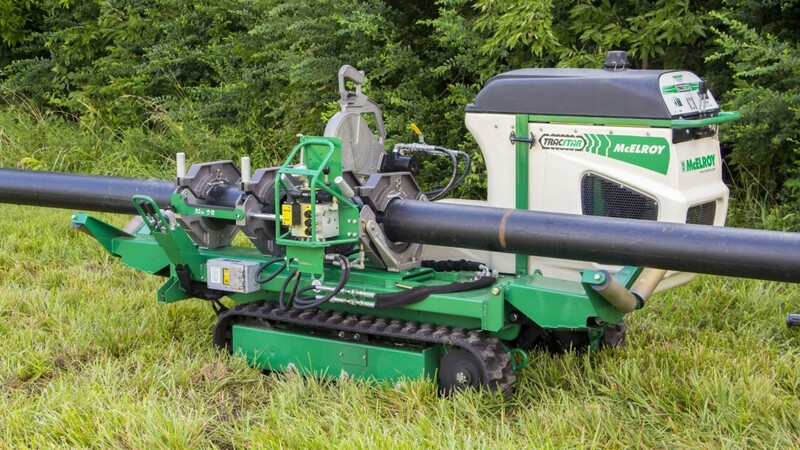 An on-board generator powers the hydraulics and heater, and dual hydraulic pipe lifts aid in transferring pipe.